What is Available SEO Domains? Every day hundreds of thousands of domain names drops and are available for registration, some are low-value domains with less than no value, but there are still thousands of good SEO Domains with good metrics or keywords that is dropped and forgotten. What we attempt to do with the Available SEO Domains is to help clients find the right SEO Domains for there business to a normal price, rather than buying it on the second-hand market for thousands of Euros. 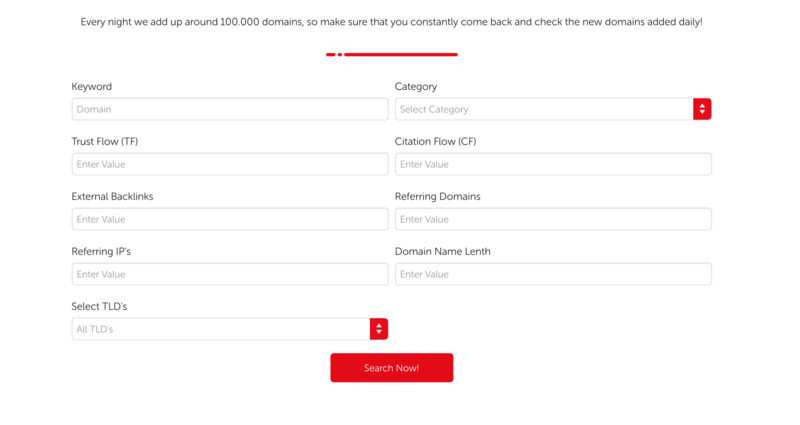 Our database contains millions of domains that are available for registration, and you can use the Advanced Search function to find the perfect domain name for you. This makes it super easy for clients to search the database and find just what they are looking for, you can search using Keyword, Number of Backlinks, Trustflow and even select the TLD's you are looking for.